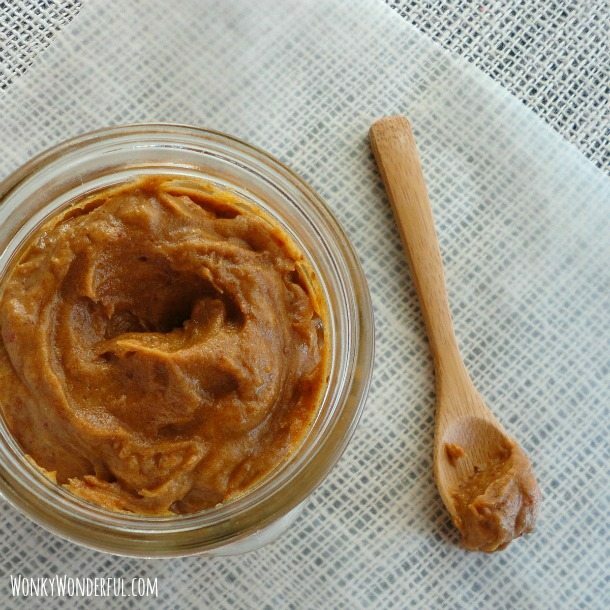 Homemade nut butter is an easy do it yourself ingredient. 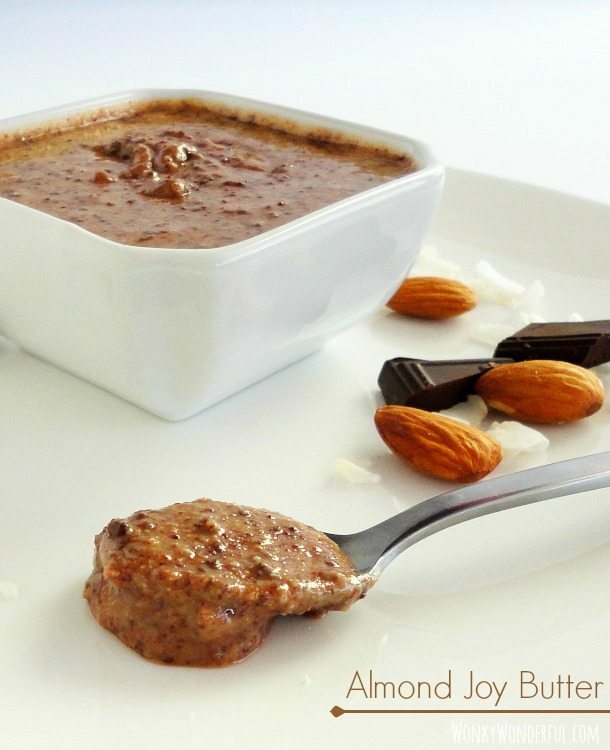 This Chocolate Coconut Almond Butter Recipe is a great sweet, nutty spread. 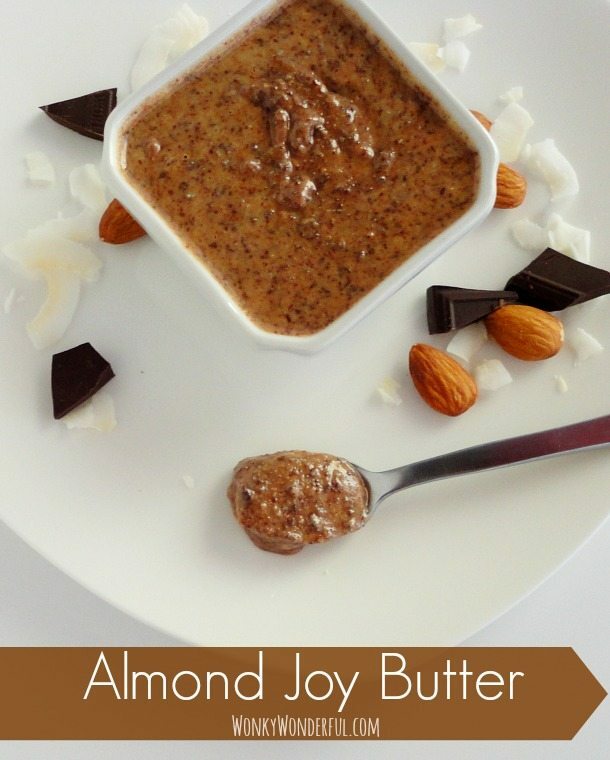 Use this Almond Joy Butter Spread in recipes, eat it on toast, or by the spoonful! 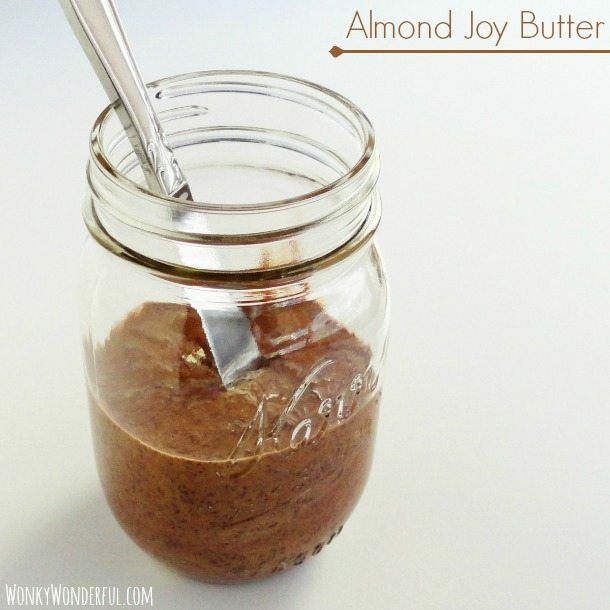 Almond Butter is very easy to make at home. It helps if you have a good quality food processor. But, I make my nut butters with a 30 year old Cuisinart. 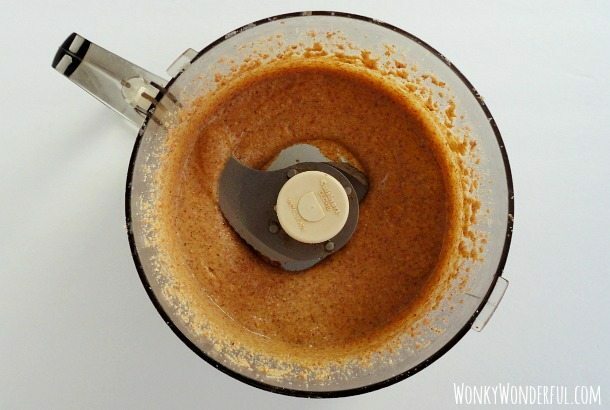 So it is possible to prepare this Almond Butter Recipe without fancy and expensive equipment. It just takes a bit longer. The great thing about making nut butter at home is that you control the ingredients. 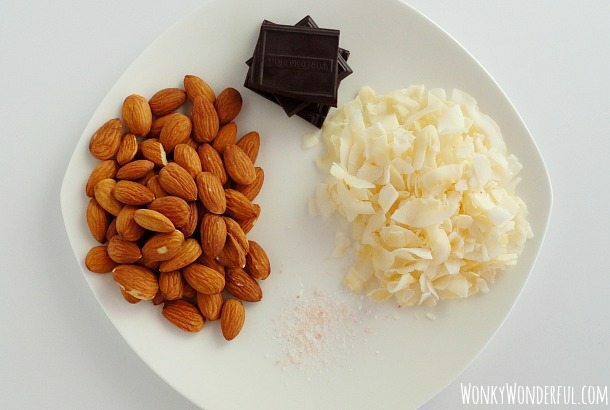 I use plain raw almonds, unsweetened coconut chips, 72% cacao dark chocolate and a touch of salt. 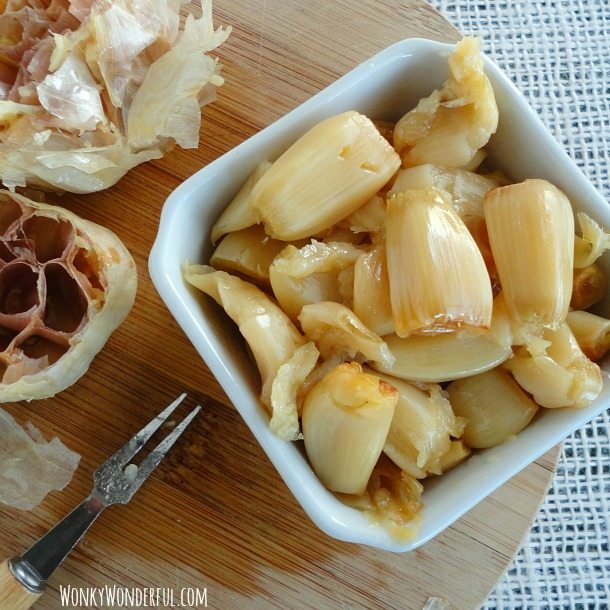 I toasted the almonds and coconut to get a deeper flavor and also to release the natural oils. This step isn’t absolutely necessary, but I highly recommend doing it. As far as the chocolate goes, use your favorite type of chocolate. If you like milk chocolate . . . Do It! I used the super dark chocolate because I prefer the flavor and it is also a little healthier. There is the Old Faithful Food Processor, working away! This processor has been used, abused and is still alive and kicking. Check out the Almond Joy Butter once it is all blended . . . not too shabby for a relic from the 80’s! Place the chocolate into the refrigerator to chill. 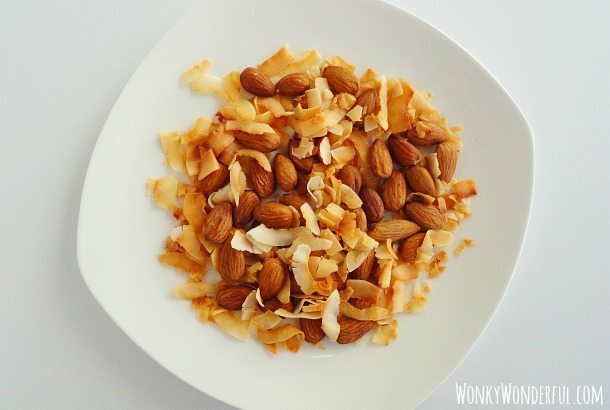 Roast the almonds and coconut on an ungreased cookie sheet for 8-10 minutes or until golden brown. Stir once while cooking. Allow to cool for 5-10 minutes. 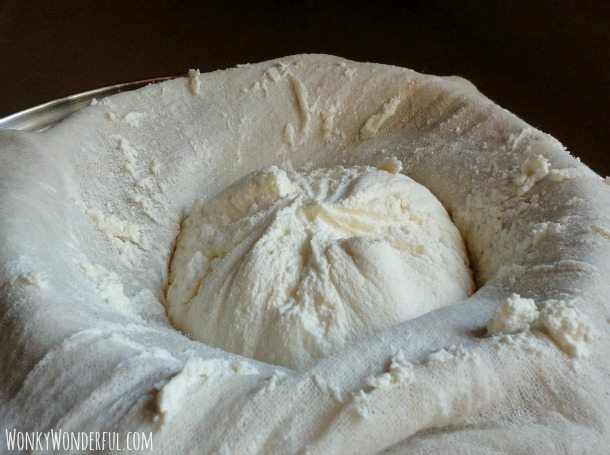 Transfer mixture to a container and fully cool in refrigerator for 30 minutes. Once the almond butter is cooled, fold in the chocolate pieces. *I keep my jar of Almond Joy Butter at room temp, but if you prefer to refrigerate, be aware that the almond butter will harden when cold. I make small batches and use my nut butters within 2-3 weeks. Refrigerated nut butter will last longer. Use your best judgement. I love a good party! I’ve been known to share my delicious creations at THESE awesome parties! Thanks Samantha! Yeah, those KitchenAids last forever, we have one from the early 80’s!